Lok Sabha Election 2019 campaigns will continue today. Prime Minister Narendra Modi, a star campaigner for BJP, will address a public rally in Andhra Pradesh's port city of Visakhapatnam today. This will be Modi's second visit to the state within a month. The ruling Telugu Desam Party (TDP), the Congress, Left parties, Joint Action Committee, trade unions and various other organisations have called for protests during his visit. 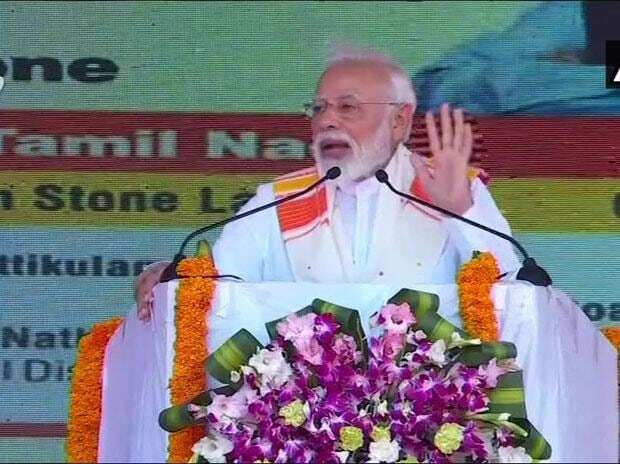 Modi is also scheduled to visit Tamil Nadu, where he will interact with beneficiaries of the PM-Jan Arogya Yojana and inaugurate several projects. Meanwhile, Congress President Rahul Gandhi will launch the national campaign for the coming Lok Sabha elections in Maharashtra, with a mega rally in Dhule, a traditional party bastion. He may also address a rally in Mumbai. In Punjab, the Shiromani Akali Dal (SAD) and BJP have announced the seat-sharing arrangement for the Lok Sabha elections. The SAD will contest on 10 seats and the BJP on three of Punjab's 13 Lok Sabha seats. BJP President Amit Shah attended a media conclave where he expressed confidence over BJP victory in the Lok Sabha polls. He claimed that his party was unaffected with SP-BSP alliance in Uttar Pradesh. Shah claimed that the BJP has a strong base in Rajasthan, Madhya Pradesh and Chhattisgarh, despite defeat in the recently held state elections.